Each year, CORA hosts three signature events. It’s our hope that one of these fun events engages you and your family with our organization and you partake in our vision of building a community without hunger in Chatham County. If you are interested in sponsoring any of these events, please contact Rebecca Hankins at Rebecca@corafoodpantry.org or 919-491-5896. The Hunger 5K and Fun Run will start at Central Carolina Community College on Saturday, June 15th, 2019. We invite you to participate in this exciting event that will benefit our neighbors in need living right here in Chatham County. Together we can build a community without hunger! Speed walk, casually stroll, jog, or take a thrilling chip-timed run. Whichever one you choose, you will know that you are helping hungry neighbors get the food they need when you participate. Click HERE to register and to get all the details. 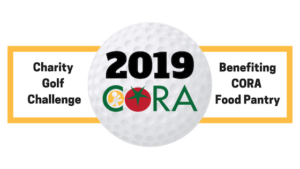 CORA will host its 2nd Annual Charity Golf Tournament on October 21, 2019. This event, at the Governors Club’s Jack Nicklaus Signature Golf Course in Chapel Hill, supports our mission of providing food to children, individuals, and families within the community who are in need during difficult personal economic times. The day will include golf, live auction, raffle, and an awards dinner. The concept is simple: guests choose a handmade bowl, enjoy delicious restaurant tastings, and go home with their bowl that serves as a reminder that someone’s bowl is always empty and that we need to continue our efforts to end hunger in Chatham County. This popular event is open to the public. 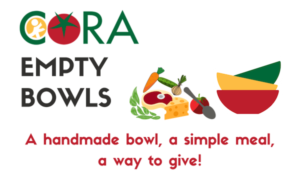 CORA encourages all who are interested to attend and purchase a bowl and supper to support a great cause.